Geneva (Reuters): World Trade Organisation head Roberto Azevedo said on 31 August that US President Donald Trump’s comments about potentially leaving the WTO were consistent with what the United States has said previously and did not reflect new concerns. Trump said on 30 August that he could pull out of the WTO, potentially undermining one of the foundations of the modern global economy, which the United States was instrumental in creating. 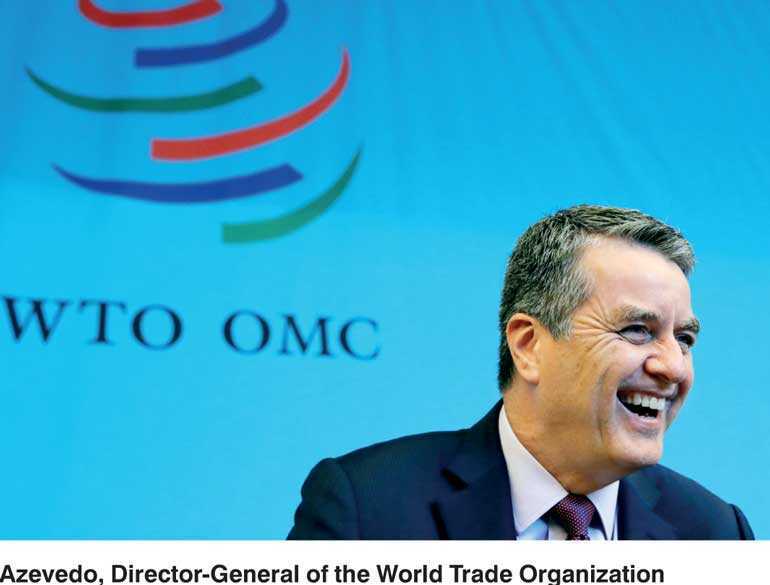 In a response on 31 August, Azevedo, the WTO’s director general, said there was no reason for “panic”. Trump has previously called the WTO a “disaster” and a “catastrophe”.During his election campaign he told NBC’s Meet the Press program that if the WTO rules blocked his policies, he would renegotiate US membership or pull out. Many diplomats say that although they dislike the US tactics, they agree that the WTO needs reform, and hope that the situation can be used to make the 23-year-old trading club more efficient and effective. WASHINGTON (Reuters): US President Donald Trump said on Saturday there was no need to keep Canada in the North American Free Trade Agreement and warned Congress not to meddle with the trade negotiations or he would terminate the trilateral trade pact altogether. “There is no political necessity to keep Canada in the new NAFTA deal. If we don’t make a fair deal for the US after decades of abuse, Canada will be out,” Trump said on Twitter. Trump last week threatened to slap tariffs on Canadian-made cars if Canada did not join the talks to revamp NAFTA, which he has repeatedly criticised. Trump on Saturday, in his Twitter posts, reprised his attacks that NAFTA has resulted in a loss of US jobs and business.